For all those fans out there who have followed this blog series for the past four years, I have some unexpected news for you. The Torpedo Project has come to an early conclusion. I’m very bummed about this outcome but not as much as the Tucker Torpedo Team. Rob Ida, Sean Tucker, Bob Ida, Bob “Bobsled Bob” Cuneo, and all the other contributors can be proud of their accomplishment. A lot of hard work went into building the Torpedo and not seeing through to completion has left the Team unfulfilled and rightly so. Here’s Rob driving the unfinished Torpedo around his parking lot a few months ago. Car builders like Rob are always looking for the next project whether that is one that he finds or if one is presented to him. Not only are Tuckers and Hot Rods his specialty, but so are Porsches as seen below. Rob’s sweet spot in his heart is for the Tuckers. His grandfather was a Tucker Dealer in Yonkers, NY, and his best friend Sean is the great-grandson of Preston Tucker. They both have the same desires for the Tucker car and it shows in their work. Their last Tucker project was a work of art! A Tucker ‘48 “refurbishment,” which turned into a restoration for Howard Kroplick. Howards’ ‘48 is probably one of the finest examples of a ’48 in the world. Rob and Sean took great pains to replicate the Tucker down to the last detail including the correct manufacturer’s emblem etched on the windows and the correct fabric for the interior. Here are before and after photos of Howards’ Tucker ’48. The brown ’48 is what Rob and Sean started with. The green ’48 represents the original color which was found when the tires were taken off the rims. Once Howards’ ’48 was finished it didn’t take long for Rob and Sean to find their next project and guess what? It’s another Tucker called the Carioca. Hemmings Daily has a nice write-up on Rob’s Carioca Project. This is what Preston Tucker envisioned below. Preston Tucker was a great entrepreneur and industrialist. He accomplished so much with his vision and manufactured a safe car way ahead of its time with the ’48. In 1953 he continued to pursue his dream and went to Brazil to build a new car that again would challenge the status quo. He envisioned a small affordable two-seater weighing about 2000 pounds and powered by a four-cylinder “boxer” engine making 130HP. But, it wasn’t meant to be. 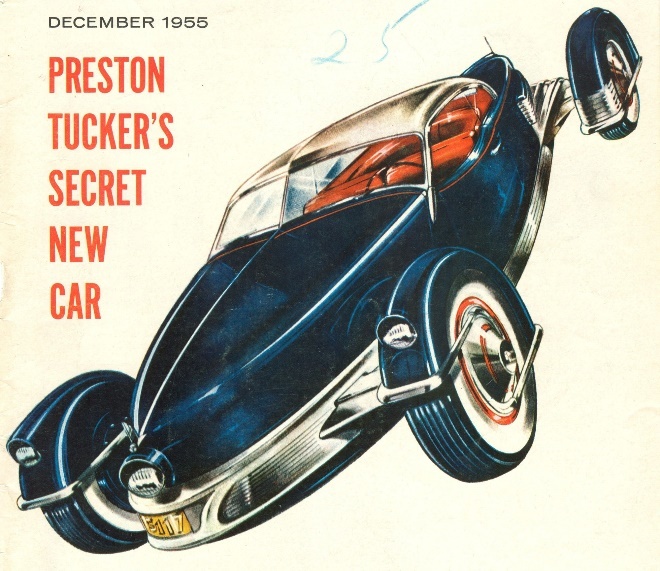 Preston Tucker died in 1955 before the Carioca could be built. Rob and Sean will make sure the Carioca will become a reality. They have started to gather the necessary parts and designs for the Carioca. The critical components like the engine and driveline have been procured. 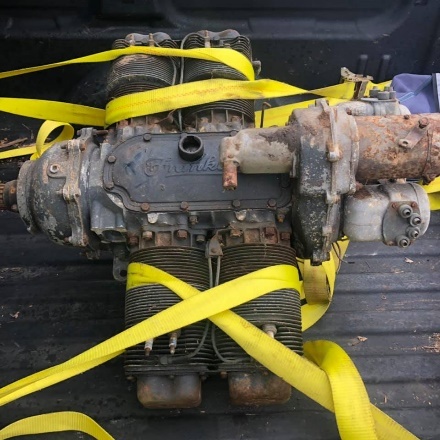 They recently found a Franklin four-cylinder engine to use to keep with the original design intent. Franklin Engines were manufactured in Syracuse, NY and owned by Preston Tucker. Franklin produced engines for small aircraft and helicopters. The Franklin H-6 cylinder engine propelled the Tucker ’48. The one they found for the Carioca came from Ontario, Canada. Here it is in the back of Rob’s pick-up (below). Design work has started and, of course, SOLIDWORKS is being used. We’ll also do a lot more design Simulation because of the air-cooled engine. We have to make sure the engine can be cooled with air inlets and internal ducting. We don’t want to find out later the engine can’t be cooled. This blog will now transition to follow the new Carioca Project. Stay tuned for more updates as work progresses.